Catarrh is an excessive build-up of mucus in one of the airways or cavities of the body. It is usually found inside the nose, but it can also occur in the throat, ears, and chest. Nasal polyps (fleshy swellings inside the nose). 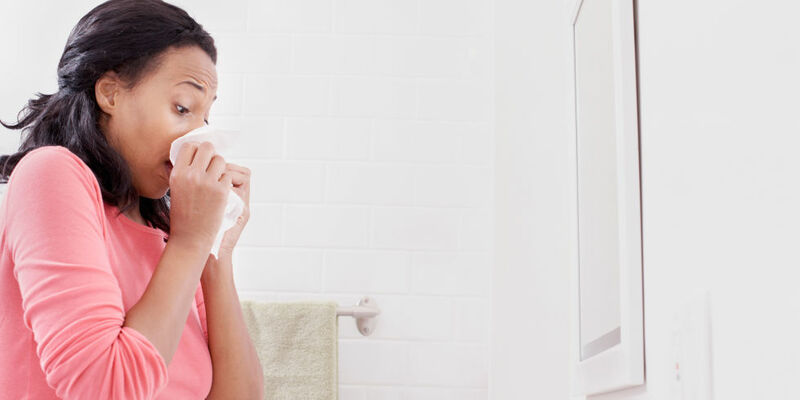 Catarrh is caused by the body's natural defenses – the immune system – reacting to an infection or irritation. When this occurs, it sends white blood cells to the source of the infection or irritation, which then releases molecules that cause the mucous membranes to swell and produce mucus. The swelling also narrows the cavity, resulting in further congestion and this catarrh can be clear and runny or thick and coloured. For reasons that are unknown, some people have abnormally sensitive blood vessels that react to environmental triggers, such as cigarette smoke and pollution. This causes the affected blood vessels to swell in a similar way to an infection or allergic reaction and it is this swelling leads to congestion and catarrh – it is known as vasomotor rhinitis or non-allergic rhinitis. Cigarette smoke and pollution are common triggers for this, with others including perfume, alcohol, spicy food, changes in the weather and stress. Eat the ripe fruit as a treatment for pulmonary catarrh. Make a decoction of the leaves, using 10 to 15 grams for 1 liter of water.